Jerrol Kimmel, RN, MA, sees her position as a mentor for the Saybrook Mind-Body Medicine program as the culmination of her work as a mind-body specialist since the mid-1980’s. Jerrol began her career in community mental health and the healing arts in 1975 with a BA in psychology from UC Berkeley. In 1983 she completed a nursing program in order to integrate Western Medicine with holistic practices. With the intention of complementing her passion of integrative health with additional academic rigor she received her Masterʼs degree in Integrative Health Studies from the California Institute of Integral Studies in San Francisco, CA. Jerrol has maintained a private practice since 1980 incorporating massage therapy, mind-body techniques and other holistic modalities in assisting her clients in attaining physical, emotional and spiritual health. 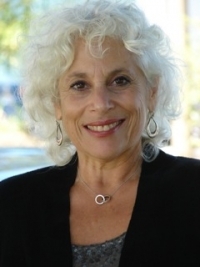 She is a faculty member of the Center for Mind-Body Medicineʼs professional training programs and is also part of the Centerʼs Global Trauma Relief team providing training for health and mental professionals in Israel, Gaza and Haiti. Jerrol has been a mentor for students in the Mind Body Medicine Program since the Spring of 2010. Being on board since the inception of the program she feels a deep bond with the students she has guided, and an alignment with the core values that the Center for Mind Body Medicine brings to Saybrook. Jerrol recalls sharing the feeling of elation on August 14, 2012 as ten of the fourteen students that completed their master’s degree in 2012 walked across the stage in San Diego and received their MS in Mind Body Medicine. Jerrol describes what it feels like for her to be a mentor. One of the most heartfelt descriptions she provides is that of a pioneer, a quality that is sure to resonate with the students studying mind body medicine. According to Jerrol, throughout the course of her life, chance, circumstance, and fate have brought her exactly to where she needed to be. In 1993 major life changes lead her to move from San Francisco to the East coast. It was there that she found the Center for Mind Body Medicine (CMBM). The CMBM gave a name and a language to the work she was already doing, and provided additional credibility to the field that she was practicing in. Jerrol became certified by the Center for Mind Body Medicine in 2001 and feels her alignment with the CMBM has enhanced the course of her life. Jerrol’s position as a mentor brings together all of the pieces of her life. She sees herself as an ally, cheerleader, one to brainstorm with, and trusted friend to walk along side of the students as they enter into the unknown. Her position as a mentor provides a container, and she sees herself as the spider that helps to create the web of community and continuity for her mentees. One of the factors that brings her joy is reflecting upon the transformation of students from the beginning to the end of the program. As students begin the program they may feel anxious, yet they also feel as though they’ve been called to be a part of the College of MBM. With a commitment to the program students emerge after two years as solid, articulate representatives of the transformative power of mind body medicine. Jerrol currently lives and practices in San Francisco offering an integrative approach to health and healthy aging. She also works with clients around the country in her program Filling Up On Wholeness, a personal inquiry into emotional eating.